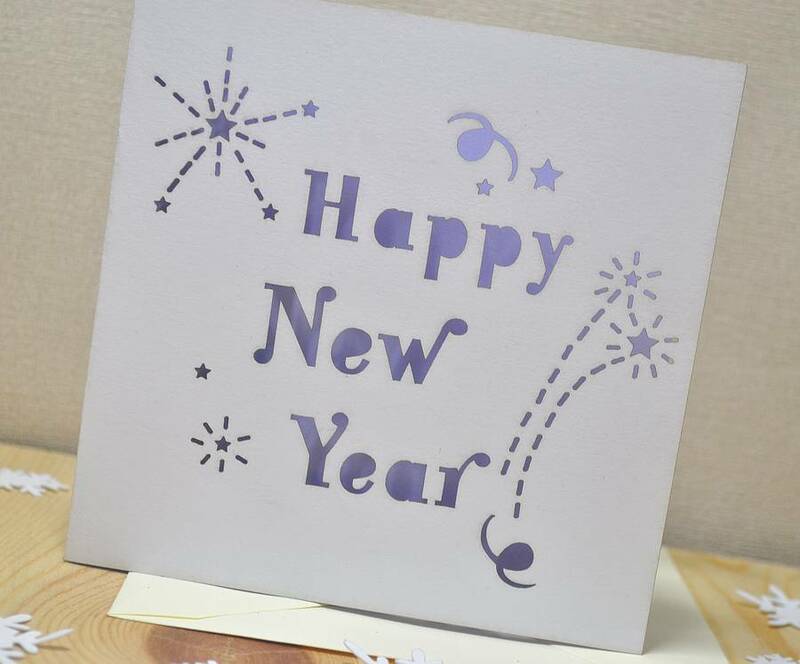 A laser cut Happy New Year Card complete with stars and fireworks. 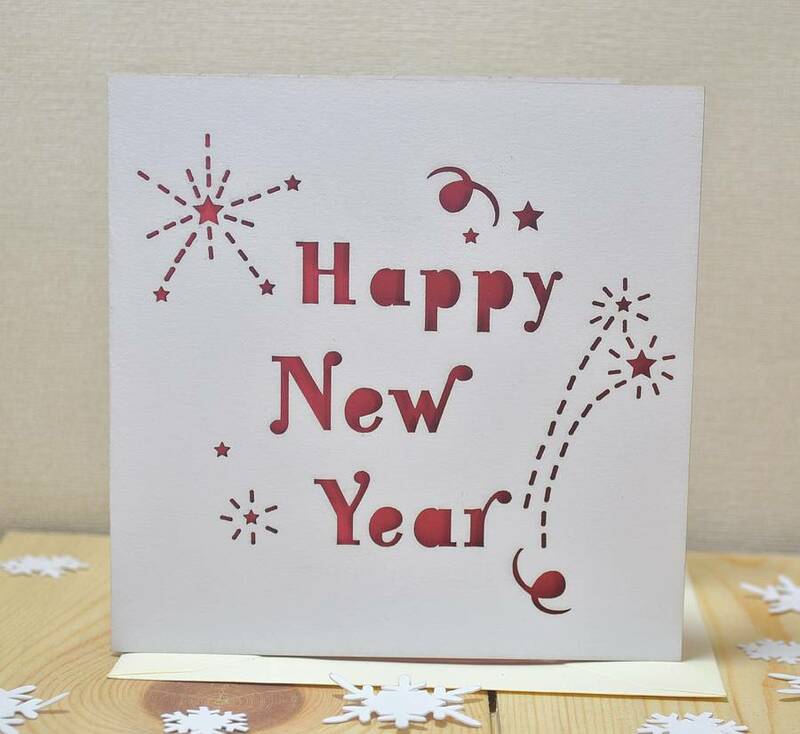 This laser cut card comes complete with the message Happy New Year message and an intricate firework pattern. 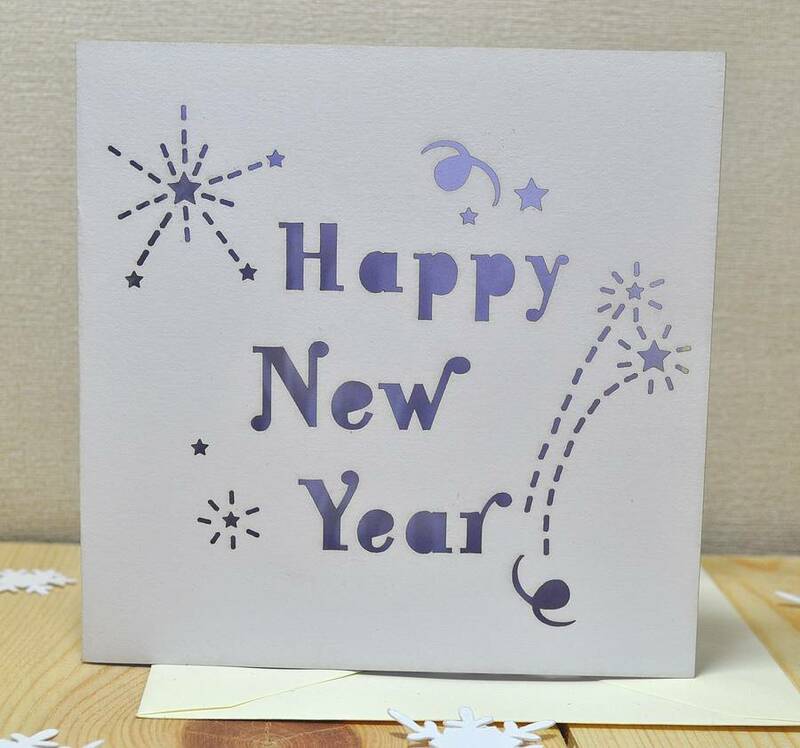 Each card may vary slightly as each card is individually hand-made and cut, making this card even more unique. 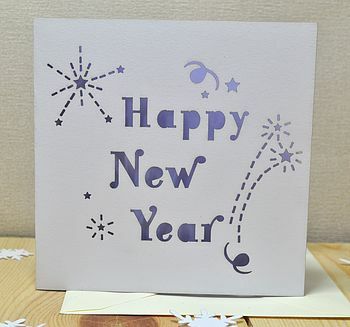 This card is also available in packs of 3 and 5 ideally if you would like toi wish lots of people a Happy New Year. For your slip insert you may choose from: red, lilac, pink, yellow, orange, blue, green, pastel blue, pastel green, pastel yellow. For the packs of cards please feel free to select assorted colours. 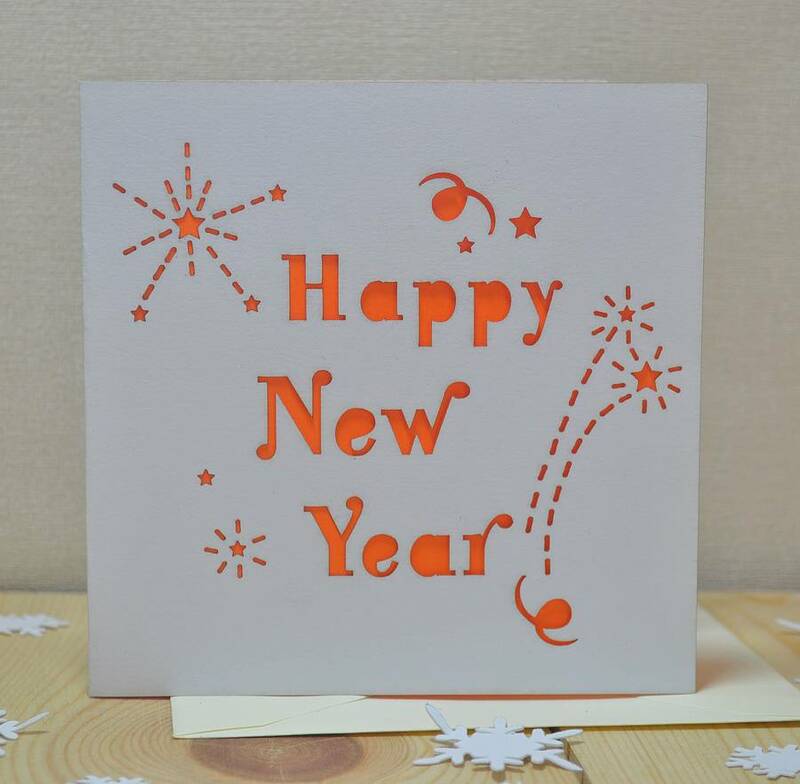 The card is cut on 240gsm white card and comes with a paper slip insert of your choice. All of my greetings cards are sealed in a cello bag to protect the item and they all come with a white or cream envelope. This product is dispatched to you by Sweet Pea Design.